Watch your tea blossom as it is heated with the RSVP teapot and warmer set. 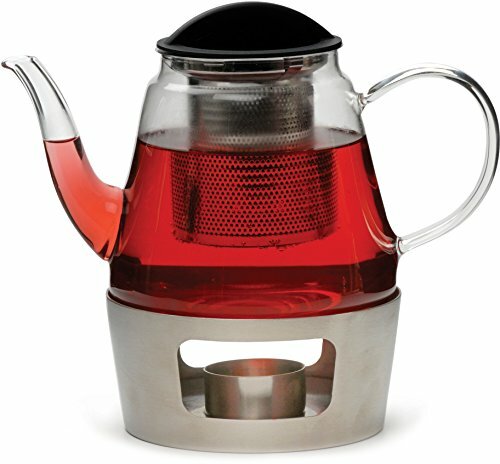 This teapot is made of heat resistant borosilicate glass that is lead free and great for brewing all types of tea. The stainless steel infuser nestles the teapot inside while it is warmed below, and has two holes on the side to light and monitor the candle flame. Equipped with a convenient handle for easy transport, this teapot also comes with a stainless steel infuser and a black plastic lid.